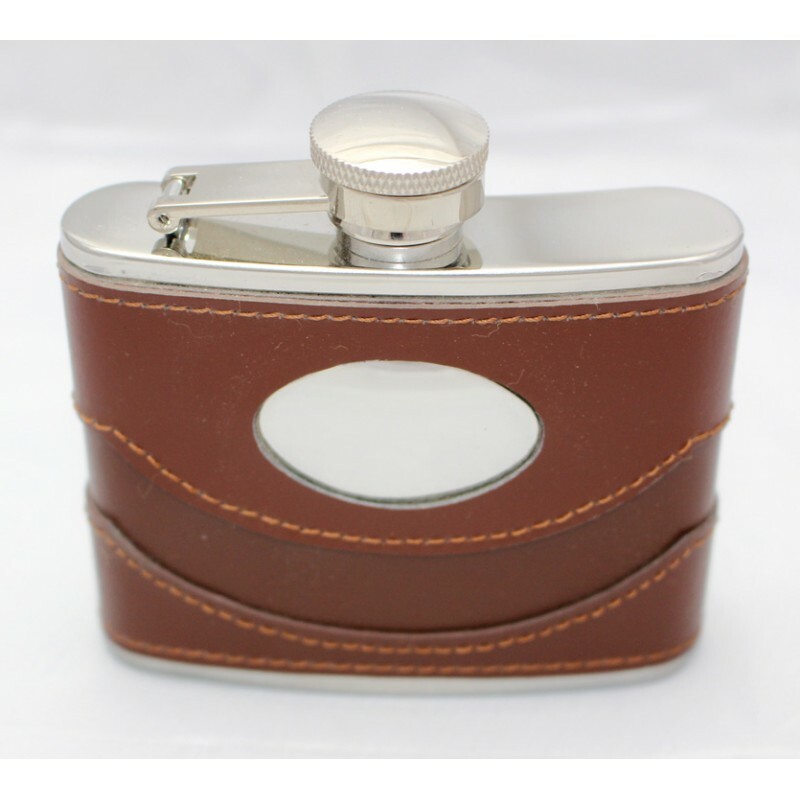 This stylish 4oz hip flask is entirely made of stainless steel coated with brown Spanish leather with an engraving plate in the centre. Screw top attached to the flask for extra security. Perfect as a gift, sold in a made to fit box.